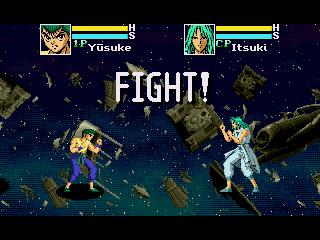 Yuu Yuu Hakusho: Makyo Touitsusen is an action fighting game for the Sega Genesis. 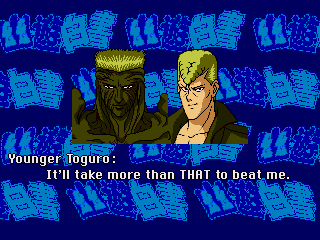 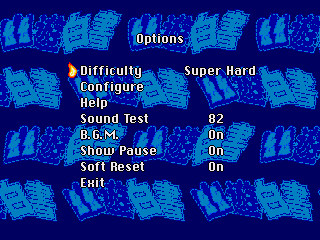 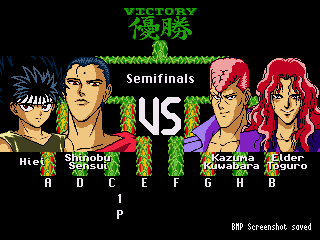 This is a translation patch for the Mega Drive game “Yu Yu Hakusho”. 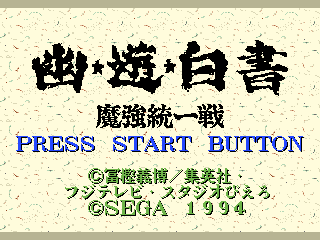 It sports a variable-width font engine with kerning and, as usual, it is a “dual-language” patch, meaning that it supports both Japanese and English, depending on the country code of your machine.